1. 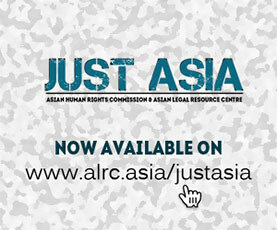 The Asian Legal Resource Centre (ALRC) would like to draw the UN Human Rights Council’s attention to the rise in extrajudicial killings committed by Law Enforcement Agency (LEA) officials. Since the start of the Military operation Zarb-e-Azb two years ago, extrajudicial killings have increased manifold. When the operation began, the government vowed to keep a check on the excesses of LEA’s to ensure innocent persons would not be arrested; there were talks about constituting a monitoring committee. However, as is usual with State formed committees, this one failed to deliver; extrajudicial killings are rampant with total impunity for State officers involved. 2. The Asian Human Rights Commission, sister organization to the ALRC, which has been documenting cases of extrajudicial killings, has found that many victims were picked up by LEA officials without warrants and later killed in custody or in staged encounters. Political victimization by the LEAs is a norm in Pakistan. On 3 May 2016, the Pakistan Rangers extrajudicially killed a political worker of Pakistan’s fourth largest political party, in custody. The cause of death was given to be “heart failure”. His corpse was found with several torture marks. After receiving Aftab’s body, friends and family members recorded the state of the corpse, and circulated the pictures and videos on social media, which were, in turn, picked up by electronic media. The Rangers were forced to come out with a clarification. They assured that action will be taken against erring officials, but maintained that Aftab’s cause of death was a heart attack. 3. Extrajudicial killing is a symptom of a systematic collapse of the judicial institutions, which have failed to dispense justice. Extrajudicial and arbitrary killings erode the structure of equity and human rights that form the basis of justice systems throughout the world. By providing impunity the State has itself become a party in the murder of its citizens, denying them the right to fair trial and due process. The certainty of impunity, coupled with lack of accountability, has obliterated whatever credibility the judicial system had in the eyes of the people. When an LEA officer is found or alleged to have killed an accused in custody or in a staged encounter, he is not relieved from the services until further enquiry; instead he is transferred to other jurisdiction until the matter fizzles out. 4. The right to fair trial is a luxury that few in Pakistan can afford. Extrajudicial killings not only negate for citizens their right to fair trial, as per Article 10 of the Constitution of Pakistan, but also their right to defend themselves in the court of law. The collapse of the criminal justice system has further driven the current climate of impunity and lack of accountability for LEA operating in Pakistan. A senior police officer, Rao Anwar, who has allegedly killed 60 people in a single fake encounter, was quoted by Reuters to have stated that since there is a State of war there are always gray areas in such matters. Mr. Anwar further stated that when the justice system fails to convict suspects then these things happen. 6. The State is supplementing its lack of writ by enforcing it on the powerless and vulnerable, resulting in chaos and anarchy. Extra-constitutional use of force is often used under the guise of “restoring peace” and “maintaining law and order”. It disregards accountability of the State apparatus. The question that arises in minds of common citizens: who will guard the guardians? 7. The law enforcement agencies in Pakistan including the Army and Pakistan Rangers have been given unfettered power to control terrorism through many draconian laws which empower LEA to raid any place without search warrants, shoot suspects on sight, keep suspect in custody for 90 days for further investigation and to even select cases and which can be tried before the Military courts. Further, the Military has been authorized through constitutional amendment to form Military Courts for summary trials against the terror suspects. 8. The ALRC would also like to express grave concern about reports of numerous extrajudicial killings in Balochistan and Sindh; the provinces have borne the brunt of extrajudicial killing in 2015, when 143 people lost their lives extrajudicially. In Baluchistan Province where the Frontier Corp of the Military is conducting Military operations, tortured and bullet-riddled bodies of Baloch missing persons are found daily in the Province. Yet, no credible statistics on the missing and dead in Balochistan Province exists due to the media blackout; journalists and independent observers are barred from visiting the area to assess the situation, therefore gathering information for them on extra judicial killings is out of question. In Sindh Province, the Military and paramilitary forces are conducting operations against what are mostly political workers and opposition nationalists. 9. Many Sindhi nationalists have suffered inhuman torture or have been killed in custody. The AHRC has documented several such cases. On 3 May 2016, a senior political activist, Mr. Aftab Ahmed, working for the fourth biggest parliamentary party, MQM, was allegedly extrajudicially executed in Rangers’ custody. He ostensibly died due to a heart attack, but his body bears evidence of torture, including burns. Several workers of the nationalist opposition group, Jeay Sindh Muttehda Mahaz (JSSM), have since disappeared and later extrajudicially killed by the LEA’s. The Sindh police has been using a new torture technique, colloquially called half-fry full-fry, whereby the alleged accused is killed or maimed for life. The practice has horrified civil society activists and has been extensively reported by AHRC. 10. Maintenance of State writ and the Rule of law can’t be used as an excuse for enforced disappearances or extrajudicial killings under any circumstances. A complete media blackout is enforced upon the mainstream media, while journalists are threatened and harassed for reporting from Balochistan. The correct figure of State atrocities is unknown due to this. State narrative is fed to the mainstream media, which barely scratches the surface of the real problem. The media clamp down has violated the citizens of Pakistan’s right to know, and it has further alienated the ethnic Baloch. a. Develop institutions capable of dismantling the systems of impunity currently thriving in the country. b. Conduct across the board judicial proceedings against erring officials without delay. If an officer is alleged to have committed the crime, he or she should be suspended immediately, instead of being transferred to other jurisdictions. c. Carry out all necessary reforms in the State’s institutions of the rule of law – notably the police, prosecution and judiciary – in order to ensure that effective investigations and prosecutions of alleged perpetrators of extrajudicial killings and other abuses become possible.